Encaustic and mixed media artist Cathy Nichols creates work that is full of love and joy - perfect for the holiday season. 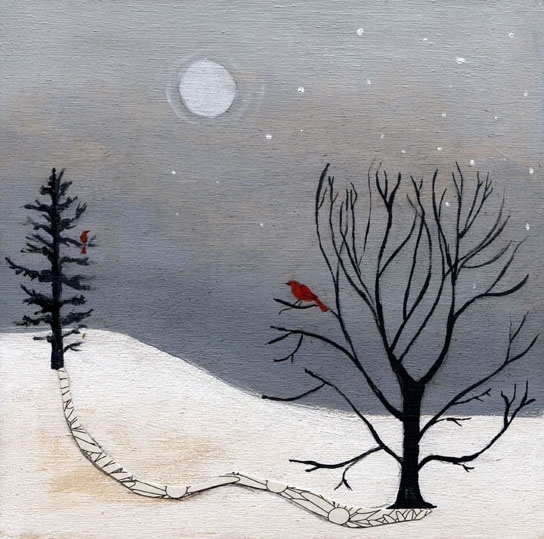 Today Cathy will share more of her December magic, including artwork and music from the entire family - and a fun mp3 jazzy rendition of Twas the Night Before Christmas to download, enjoy! December is by far my favorite time of the year in New York, where I live. 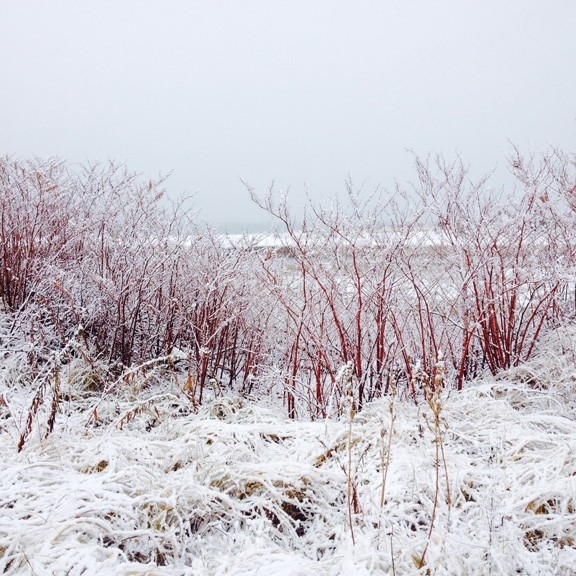 The bare-branched trees, icy beaches and snow-dusted meadows make the earth feel frozen with potential. In their stillness there is a kind of magic. And I love the contrast between the world's cold slumber and the colorful presents, hot chocolate and pepperminty treats warming our homes. My family is pretty bohemian - I am an artist, and my boyfriend, Jay is a musician -- so we like to create our own songs, gift tags, holiday cards and ornaments for the season. Our tree isn't fancy, but it's a time machine of Christmases past. 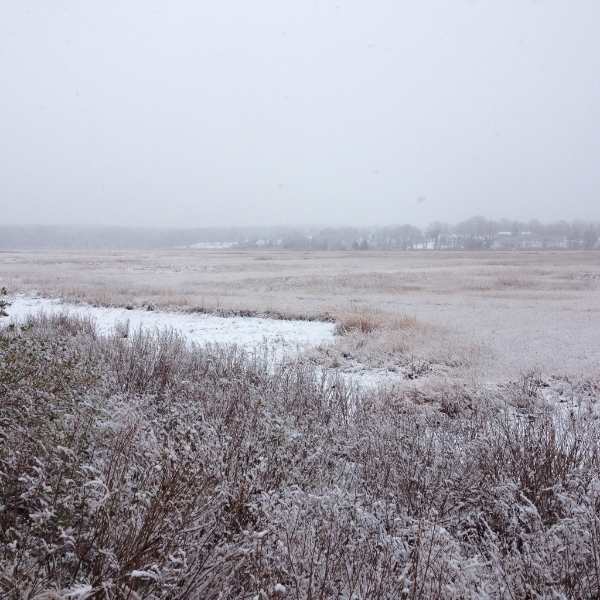 Here are some images from around Northport, NY (the beach and marsh are down the block from where we live). Every year my gallery -- a co-op of local Northport artists called The Firefly Artists do a holiday boutique & party. This one was held at Caffe Portofino, our local artsy coffee shop. 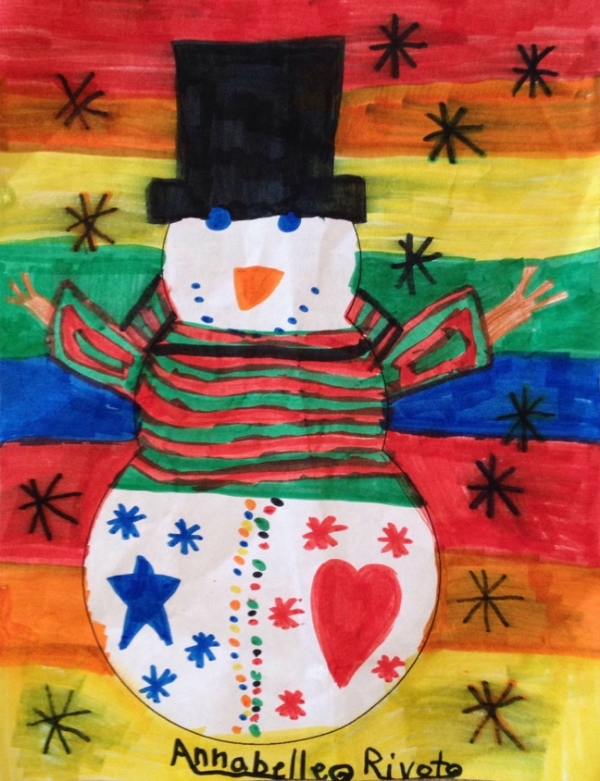 My six-year-old daughter, Annabelle, loves to draw as much as I do. She and I both created holiday card designs this year! I am also attaching the mp3 file. It is SO cute! And, last but not least, I created these cute downloadable gift tags from Santa's workshop in the North Pole. Each is signed and "certified" by one of 4 different elves. We are using these under our own tree after stripping most of the packaging from the gifts. Hopefully they will look like they could have really been assembled by "Chilly," "Sparkle," "Snowflake" and "Twinkle." They are available as a $1 digital download at my etsy shop. Thank you Cathy! Wow, what a treat - joyful holiday artwork and music to lift our spirits! 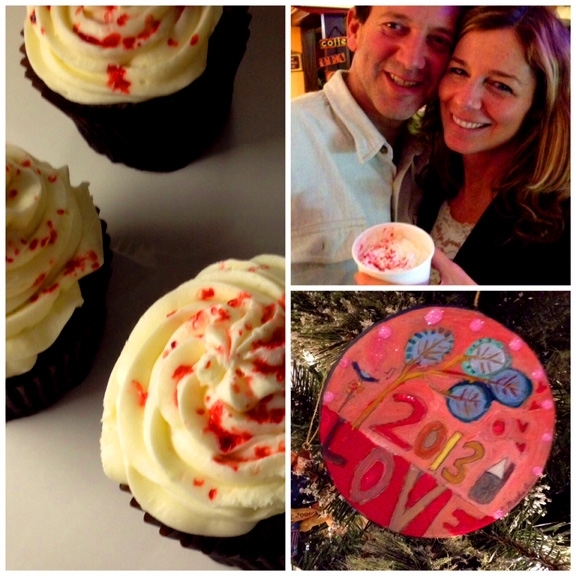 I love seeing and hearing all the fun creations from your cute family :) Happy holidays Cathy!